With over 800,000 acres of varied terrain, Big Bend National Park is sometimes referred to as “three parks in one” — an hour drive can bring visitors from the lovely Rio Grande to mountains that are more than a mile high. This breathtaking and scenic park is reminiscent of the rugged spirit of the nostalgic American West. 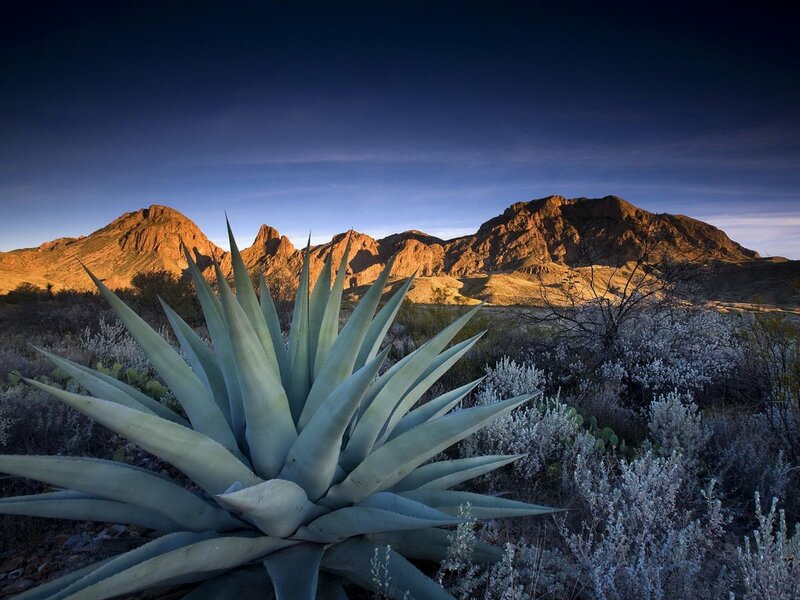 Big Bend is known best for its more than 200 miles of hiking trails across diverse terrain. Park rangers give free tours daily. There are also many opportunities for camping, backpacking and horseback riding. Because the park borders the Rio Grande for 118 miles, visitors can float down the open water on canoes, rafts or kayaks. 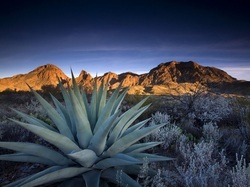 Chisos Basin, known by many as the focal point of the park, features many trails from short walks to backcountry hikes. The basin also includes the restaurant, the lodge and camper store. From Chisos Basin, hikers can catch a glimpse of the desert sunset on the short Window View Trail. After a long day of hiking, visitors can catch their breath near the campgrounds at the outdoor amphitheatre which showcases many programs. Hiking all of the 800,000 acres would be a monumental task, but fortunately, there are many scenic drives that visitors can take to see the park. While many of the roads are paved, some are not and should be taken with caution. For those with a hankering for adventure, river trips offer excitement and incredible views of the canyons between the U.S. and Mexican border. Visitors should be sure to have a permit before embarking on the water. Over the course of the river trip, visitors may cross through the international boundary, but passports are not necessary. Just be sure not to land on the Mexican side of the bank, or visitors could face fines or even jail time. The park is open all year round and visitors can enter 24 hours a day. Since it is one of the least visited national parks, it’s never really all that crowded. During the hottest months, August and September, visitation is the lowest. Visitation is at its peak November through April. There is a $20 fee for all vehicles entering the park, and a $10 fee for individuals on bikes or motorcycles. There are three developed campgrounds that cost $14 per night. Backcountry camping requires a permit which must be purchased person at a visitor center. Permits are $10. The park often reaches full capacity during six weeks of the year: Thanksgiving week, Christmas season and spring break season. During this time, demand for campsites often far exceeds availability, so it is advisable to reserve spots in advance. There are five visitor centers throughout the park, but the Panther Junction Visitor Center offers the most amenities. The only gas station in the park is located just 200 yards west of the center. There is also a bookstore, U.S. post office, public phone and restrooms on the premesis. With over 450 species of birds, Big Bend is a birder’s paradise – the Colima warbler is found exclusively in the U.S. Chisos Basin. Because of Big Bend’s central location near the 100th meridian, it’s a great place to glimpse birds migrating from northern climates. Because most desert animals are nocturnal, the park is bustling at night. Park visitors should be wary of the javalina, also known as the collared peccary: It has been known to rustle through campers’ tents and food! The only colony of Mexican long-nosed bats in the U.S. reside in Big Bend National Park. The bat is listed on the endangered species list, along with the Rio Grande silvery minnow and Big Bend gambusia, which also live in the park. Conservation workers from the U.S. and Mexico have coordinated efforts to protect the region’s national resources. Native peoples lived in this area for thousands of years, but the knowledge of the Rio Grande by non-natives only dates back to less than 150 years. With the hopes of finding silver, gold and fertile land, Spanish settlers of the 16th and 17th centuries explored across the Rio Grande. With the end of the Mexican-American war in 1848, Americans started using the area for farming, and mining when valuable mineral deposits were found. In the 1930s, Texans realized that the beautiful landscape around them should be preserved and Big Bend was officially established as a national park in 1944, with Ross Maxwell as the first superintendent. 1933 – The park is established as Texas Canyons State Park. June 12, 1944 – U.S. Congress passes legislation designating the area a national park. Its name changes to Big Bend National Park. July 1, 1944 – Big Bend National Park park opens for visitors. 1966 – First Lady Mrs. Lyndon Johnson visits the park as part of the “See America First” campaign. 1976 – The park is designated as an International Biosphere Reserve. Click to see a detailed Big Bend National Park Map.